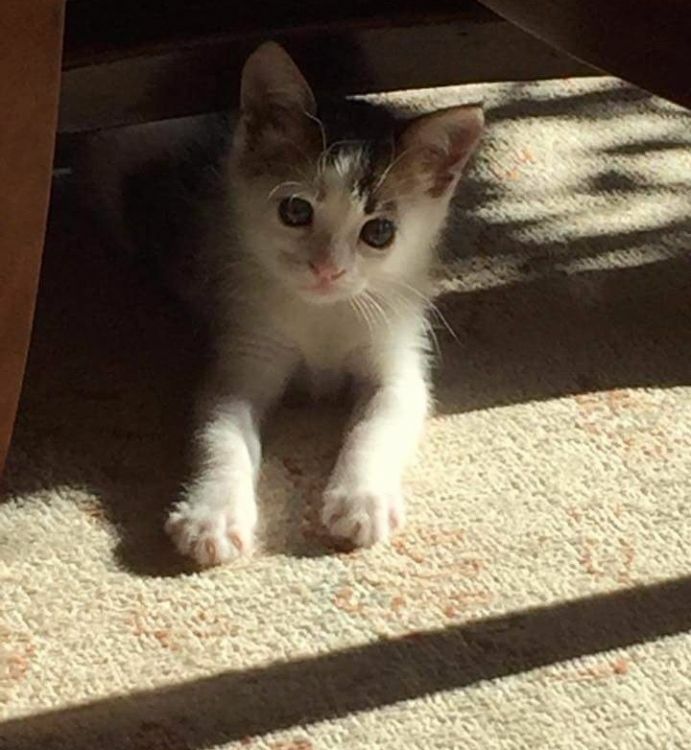 This little kitten is not only incredibly special (as all cats are, of course), he's also incredibly rare. 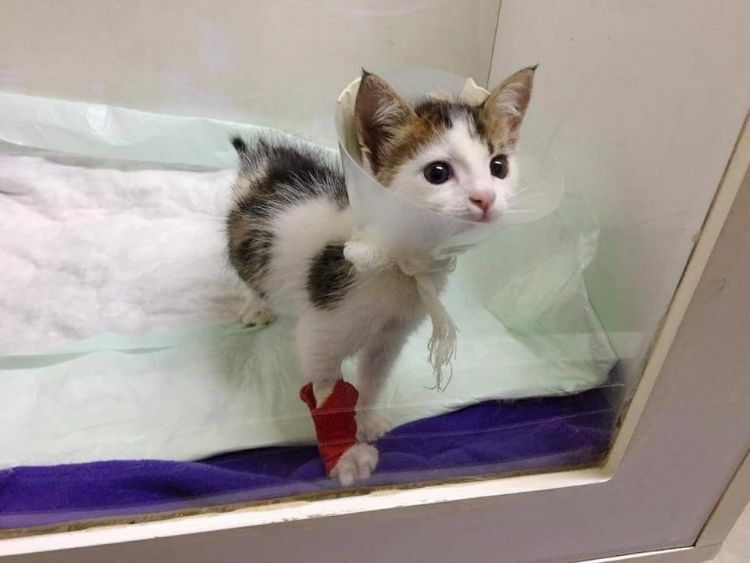 To understand his amazing story, let's start from the night he was found. 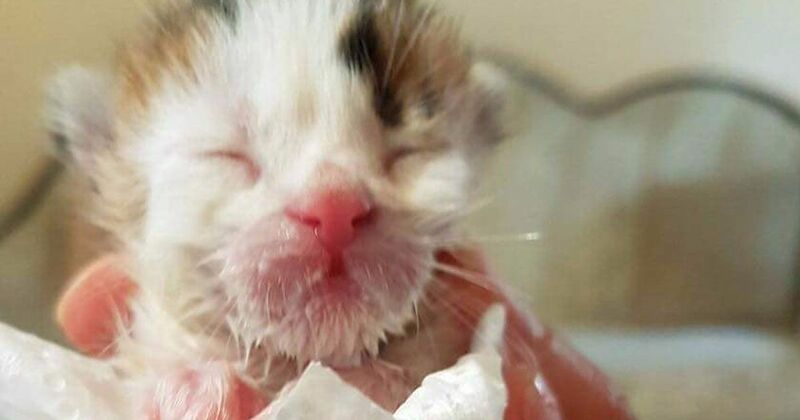 A woman was walking by a dumpster when she heard tiny, faint mews coming from inside. 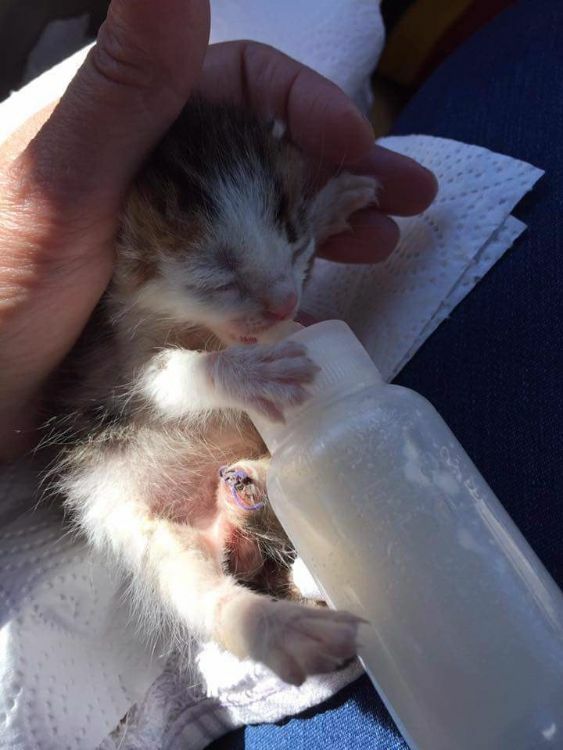 She did what any hero does — she looked inside, and found this precious furball. 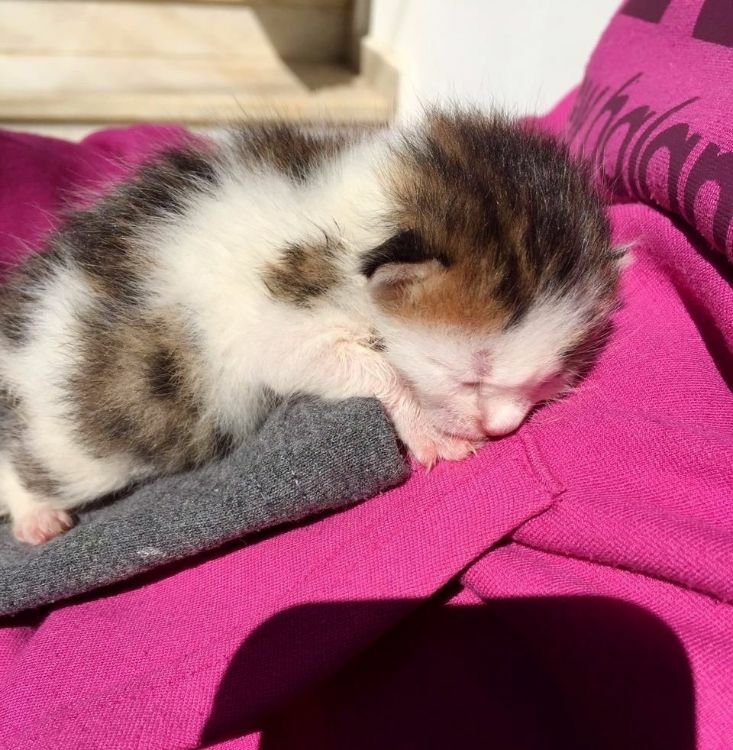 This little one was lucky that the woman happened by and heard the meows. 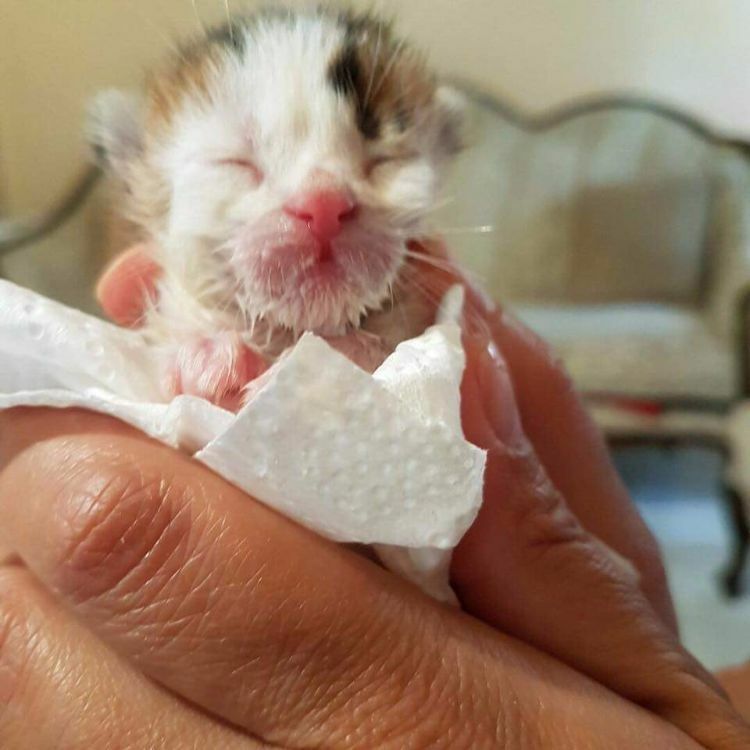 The calico already was in poor condition and wasn't going to make it much longer. The woman took him in and nursed him back to health. She's a frequent animal rescuer/angel, so she had plenty of experience with critters down on their luck. Nothing, however, would prepare her for the news she got at the vet. She took the kitten to get checked out and given shots. It was then she received a shock. 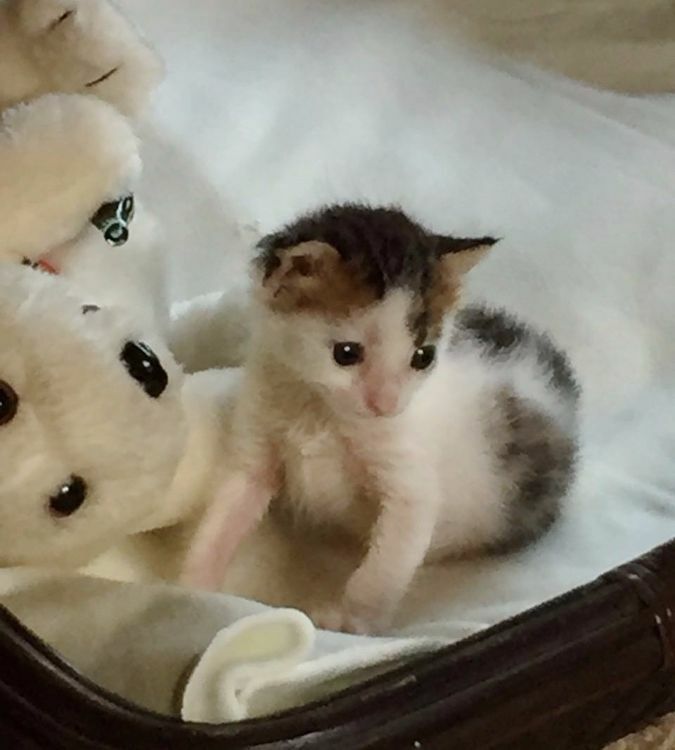 You may have picked up on it if you were reading closely — the little calico is a male. But how special is that, exactly? Very special indeed. According to Mother Nature Network, only one in 3,000 calicos are male. That's a .03 percent chance! The woman named him Martyr and took him home — and of course, he snuggled his way into her heart. She couldn't bear to give him up. Like almost all male calicos, as Love to Know says, he's sterile, but he's completely healthy. He healed like a champ. Just look at that face! We hope you enjoyed aww-ing at this rare gem. Share the story with your friends and family on Facebook so they can smile too.